Is your circuit board cracked? Soldered joints giving you problems? Is the glass coating on your varistor broken? If so, you’re not alone. More than 1,000 complaints have been filed with the National Highway Traffic Safety Administration (NHTSA) about the 2005-2007 Toyota Corolla and Matrix models. The problem is that the engine can stall at any speed, without warning, and not restart. Failure to start, the check engine light on and “harsh shifting” are also listed as “symptoms” of the problem. Woopsee…. 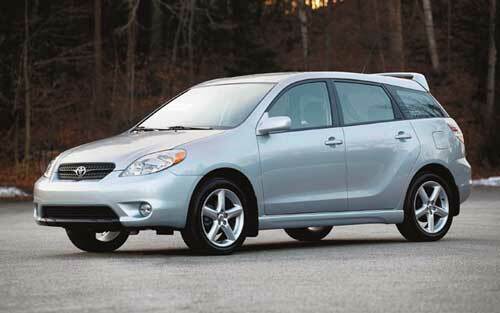 Another Toyota safety and quality problem and yes, another reluctant recall. This issue has been floating out there for almost five years. Toyota says the problem rests with an electronic control module (ECM), a tiny circuit board that controls the operation of the engine. This time, it seems the source of the problem is clear and relatively easy to remedy. 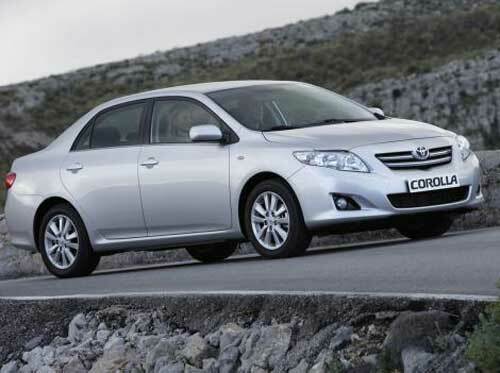 The new recall announced by Toyota on August 26, 2010 covers 1.1 million Corolla and Matrix vehicles for model years 2005-2008 with the 1ZZ-FE engine and two-wheel drive. On the same day, GM announced a recall of 200,000 Pontiac Vibes (a mechanical twin to the Matrix) for the same model years. 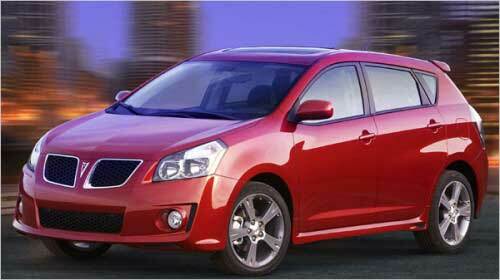 All the vehicles were made at the GM-Toyota joint venture, New United Motor Manufacturing, Inc. in Freemont, California. In total, 1.3 million Toyota Corollas, Matrixes and Pontiac Vibes are potentially affected by this problem. Previously, Toyota had issued four (yes, four) Technical Service Bulletins (TSBs) addressing the issue and instructing dealers to replace the ECM to solve the problem; so it’s clear Toyota has known about it for some time now. The NHTSA says that there have been six crashes reported with no injuries or deaths. Toyota says it knows of three unconfirmed accidents and one minor injury. Maybe there are more? Huh? So I’m cruising in traffic and suddenly my engine shuts down. I lose power assist for steering and brakes and the car stops. In my experience, a sudden loss of critical functions can easily create a dangerous situation that could lead to a serious accident. I would classify this kind of systemic failure while driving as an “unreasonable risk to motor vehicle safety” – just to borrow a phrase. There was more pre-recall spin from Toyota: “We understand that some customers have been inconvenienced by engine ECM failure and some have reported engine stalling.” Just an “inconvenience,” huh? Oh yes, now it is considered a safety defect. The new Audi A1 is hot. It launches in Europe on August 27, 2010 and Audi is already overwhelmed with interest and demand. Audi set up a website (choose a European country when prompted) to promote the A1 and got 150,000 interested customers from around the world (including the US). Based on the new VW Polo (which we may or may not get in the US), the A1 was originally only to be sold in Europe (you know, the Fatherland). However, based on initial responses, Audi will expand the A1 to global markets in 2011 with the exception of the two largest markets in the world: The United States and China. Audi says that China will get the A1 at some point AFTER 2011; however, the US market will only get the A1 “at the earliest” when the second generation goes on sale. So we have to wait for the second generation? That’s at least 5 years. Thanks, VW/Audi, it never ceases to amaze me what never comes to the US market. Where is the new Scirocco? It continues to get rave reviews all over Europe. The Scirocco name has lots of brand equity in the US even if one hasn’t been sold here for many years. VW is terrified that the Scirocco would take sales from the GTI. Maybe, maybe not. The GTI and Scirocco are different cars and VW could command a premium for the more sporty Scirocco. What VW executives don’t see is that end result of selling both models would be increased overall sales and provide cool halo car for VW of America. 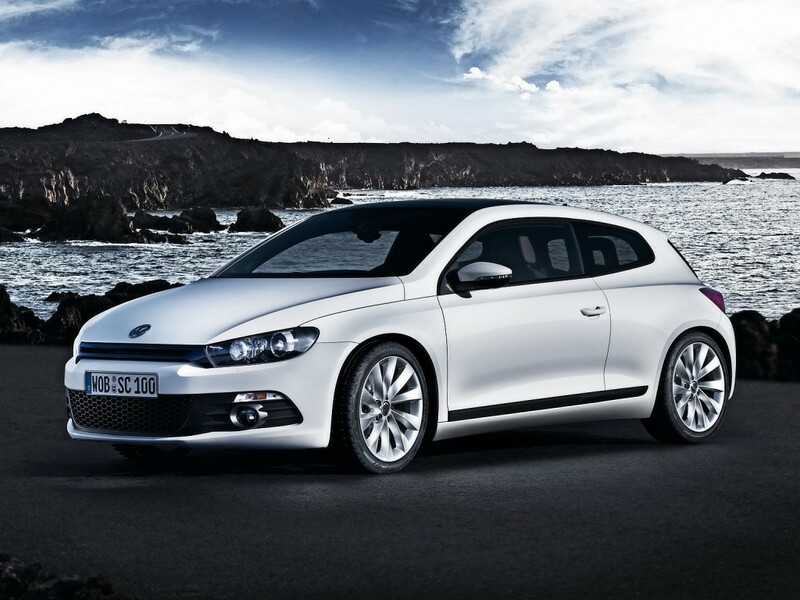 The 2010 Volkswagen Scirocco. Yeah, who would want this car in the US? Apparently, no one according to VW management. 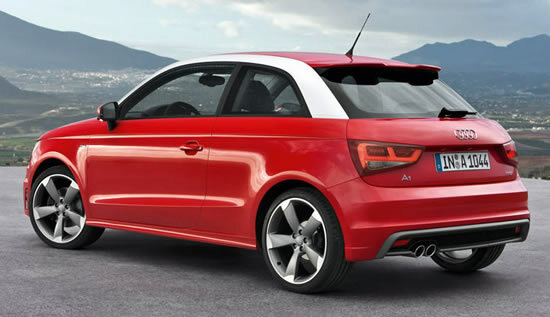 The A1 is a hot car because it has Audi premium quality at an entry level price – €15,800 (around $20,000). Of course, with options, it will be higher; but if you could get a fully-tricked out Audi A1 for $30,000, Audi is afraid you aren’t going to buy its much more profitable A3 or A4 lines. I guess the A1 is good enough for the rest of the world, but not the for US where they want to continue to milk us for the most money possible. It also may be that parent Volkswagen doesn’t want an Audi pushing into its own territory. 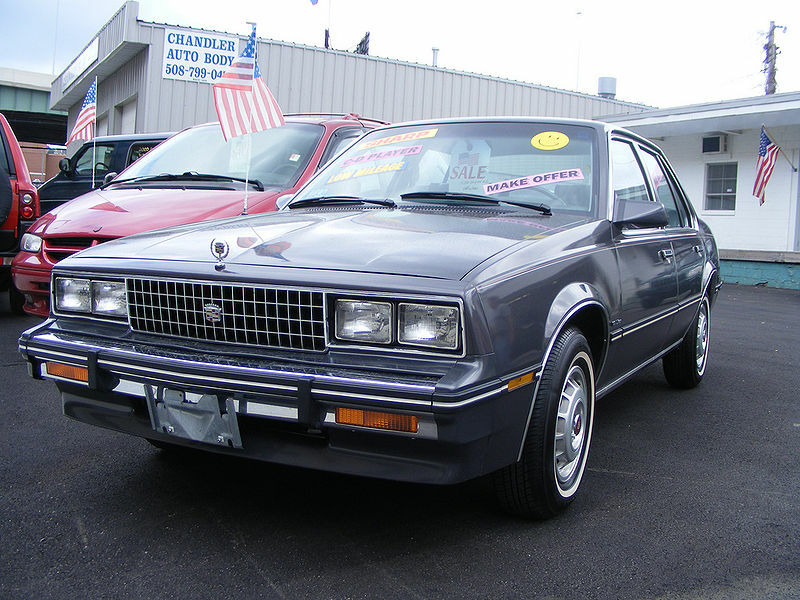 Then there is the old canard floated by the Germans about the dreaded “brand dilution.” (One of the most notorious examples of this suicidal act is when, in 1981, Cadillac introduced the Cimarron, a rebadged Chevrolet Cavalier. WORST CADILLAC EVER!). From all reports, the A1 doesn’t dilute the Audi brand and, in fact, upholds its hallmarks of a fantastic interior coupled with excellent engineering. Audi produced a fantastic 6-part short film to promote the new A1. It stars Justin Timberlake and Dania Ramirez (the super-hot Latina who plays Turtle’s girlfriend on the latest season of Entourage). The production values are first rate as is the check Audi had to write to hire Timberlake for this video. It’s entirely shot in Los Angeles, which makes it all more ironic that Audi has no plans to sell the car here. Check out Episode 2 for a hot chase scene in Downtown LA. If you like it, go to YouTube and check out all six installments of the movie. Then write Audi and complain that they aren’t going to bring it to the US market!